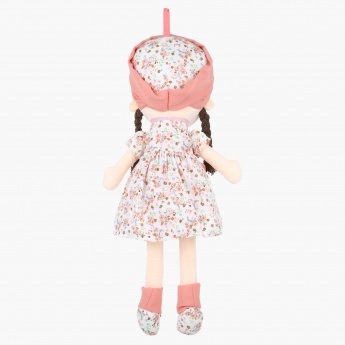 Keep your kid engrossed in playing by getting her this lovely rag doll. The soft and fluffy texture of this doll is sure to invite your kid to hug or cuddle her and have fun. This doll is styled in a floral printed dress and matching shoes to make her look captivating.